Putting the right information in front of the right audience, at the right time, for the right reasons. Whether they have a question, need to solve a problem, or just want to be entertained, your customers are looking for content. It could be a blog post, a photograph, a video, or an interactive experience—the right content can build strong relationships. You want to be sure your content has what they need, where they need it, when they need it. A solid content strategy supports your business goals and provides the foundation for any digital marketing project, from creation to launch, from search to conversion, and beyond. Content strategy plans for the creation, publication, and governance of useful, compelling content. This emerging field encompasses every aspect of content, including its design, development, analysis, presentation, measurement, evaluation, production, and management. We draw from our clients’ business goals and their specific user needs to audit existing content and then create a comprehensive plan for future content—clearly defining which content will be published and why. 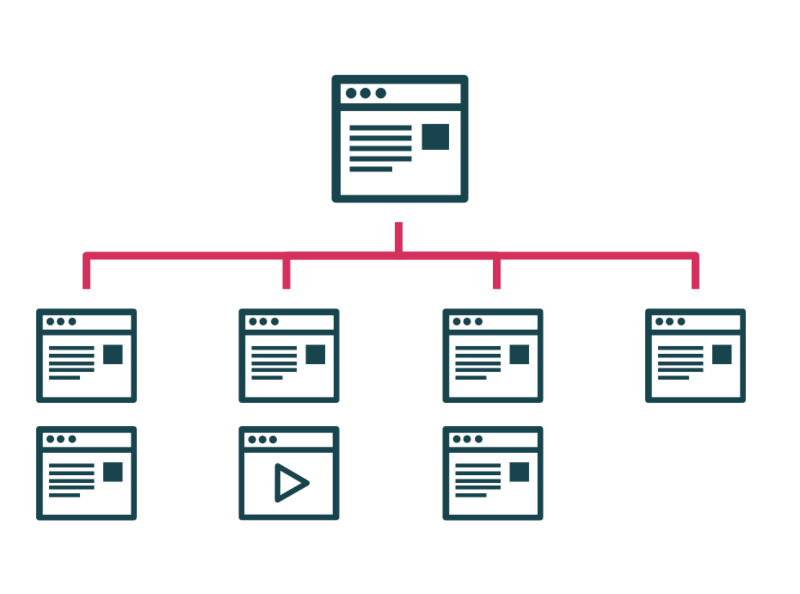 Now that all the research and analysis is complete, we can start on the first step toward building site content: information architecture (IA). IA is essentially the organization and labeling of information to help users complete tasks, easily find what they’re looking for, and fully understand what they’ve found—skills that clients find is easier said than done. 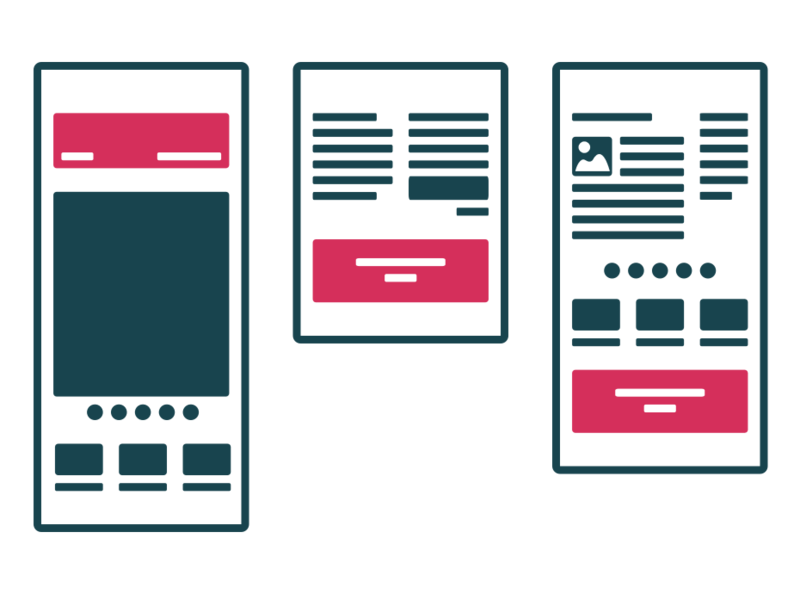 We go well beyond foundational IA practices and spend a great deal of time making choices about how to best present and organize content throughout the site to funnel users to the most applicable CTA. The result is a focused sitemap, carefree user flow, intuitive navigational structures, and improved conversion rates. 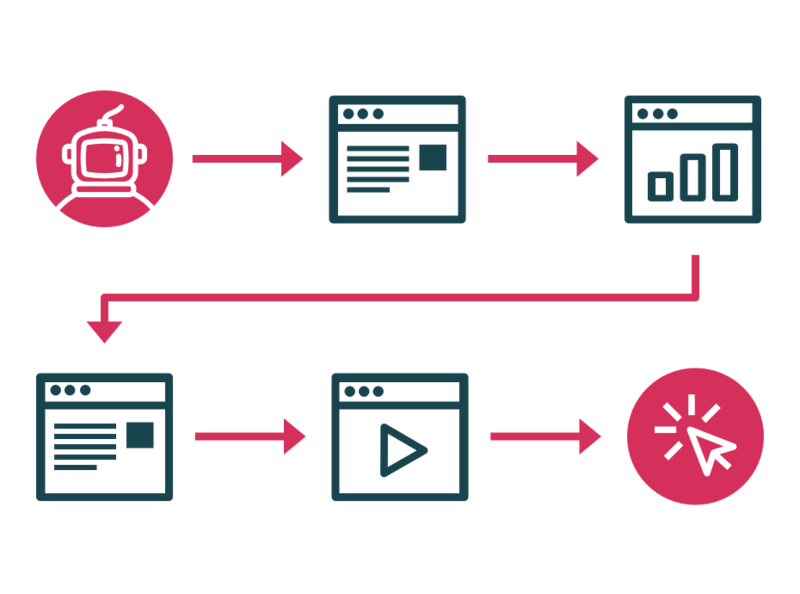 While we’re always thinking about how our client’s audience will progress through the site, we design user flows to verify our assumptions, refine the sitemap further, and determine navigation structures—all working together to funnel users into the most pertinent CTA. Using each target persona (developed during our initial market research and competitive analysis) combined with the client’s objective, we design flows that are tied to clear goals and a defined buying cycle. Gigya is a leader in scalable customer identity management. 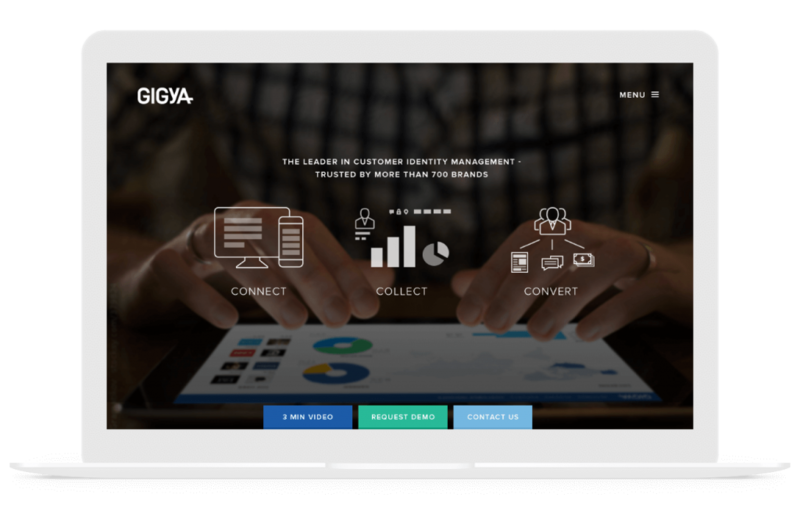 In essence, Gigya transforms ostensibly anonymous online traffic into rich customer profiles so marketers can identify, target, and engage their ideal customers better than ever before. Ever been disturbed by how personal and well timed an ad placement was while browsing online? That’s Gigya’s bread and butter. Fresh off a rebrand, Gigya teamed up with Gravitate to determine exactly how a new website can provide the foundation for an updated brand, messaging, and ongoing digital marketing efforts. Specializing in helping leading brands identify their customers in great detail, Gigya didn’t need us telling them whom to reach, but rather how, when and where to engage their target users. With both teams empowered to collaborate freely and flexible to change, we created documentation that directly informs everything from userflows and website messaging, to ongoing content creation and vertical marketing.